St Andrews Highland games are relative newcomers to the highland games scene as this year will be only the 34th time they will have been held. From humble beginings in 1984 the were first held on a Thursday afternoon in a field on the outskirts of St Andrews courtesey of Mrs Cheape of Strathtrum Estate. The are now firmly established as one of the top highland games in Fife if not in Scotland, and are now always held on the last Sunday in July. Admission prices have been held at £7 for adults and £4 for concessions and Car Parking is free. Tickets can be purchased at the gate on the day with no requirement to purchase in advance. Cycling at our Highland Games is great to watch from the sprints to the De'il tak the hindmost which allows participants to cycle round the track with the last rider being removed each lap until a winner emerges. 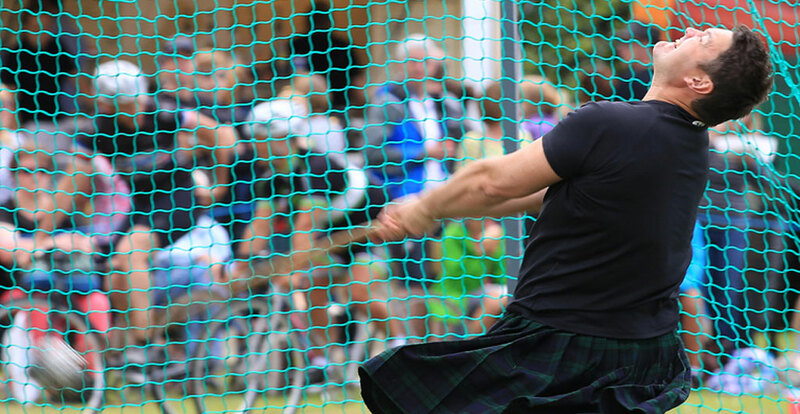 One of the main attractions at highland games are the heavyweight athletes taking part in the different events over the course of the afternoon. Events include tossing the caber, throwing the weight, throwing the hammer and putting the shot. A style of competitive solo dancing developed in the Scottish Highlands in the nineteenth and twentieth centuries, where it is often performed to the accompaniment of Highland bagpipe music. 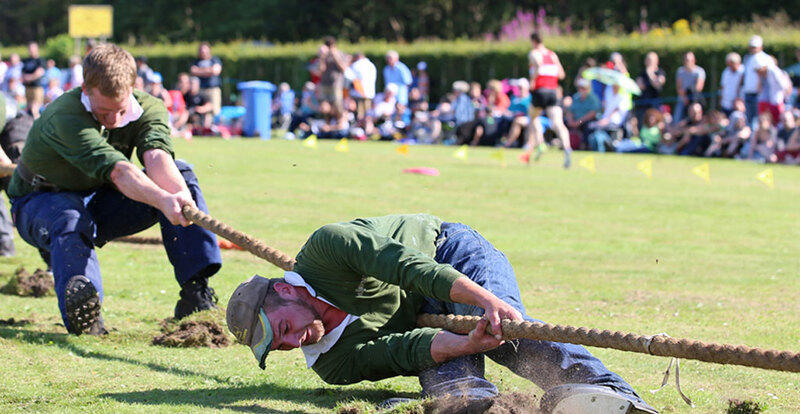 It is now seen at nearly every modern-day Highland games event. 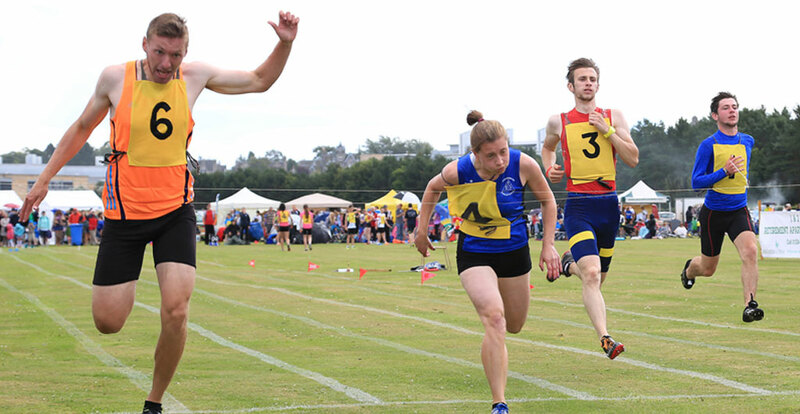 Running has been part of Highland Games since their formative years and is very much enjoyed today by both participants as well as spectators. Bagpipe playing, as performed at traditional Highland Games, is distinctly national and characteristically Scottish. owhere else will you find anything quite the same. This aspect of our cultural heritage has been encouraged and developed over many centuries and is part of the life of Celtic people. a sport that directly puts two or more teams against each other in a test of strength: teams pull on opposite ends of a rope, with the goal being to bring the rope a certain distance in one direction against the force of the opposing team's pull.